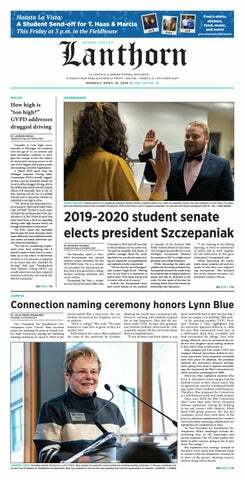 Growing up, I was always told that smoking is bad, so when I first read the headline “Student senate votes against proposal to ban smoking on campus,” I was genuinely surprised. At first, I couldn’t think of a single reason to continue to allow smoking, but then I thought a little longer and I appreciated student senate’s choice. Of course, smoking is bad for you and there’s really no more denying that. The Centers for Disease Control and Prevention reports that tobacco use remains the single largest preventable cause of death, with more than 480,000 Americans dying from its use every single year. What’s perhaps worse is that smoking also kills the people who aren’t participating in the action. In fact, about 41,000 of the deaths caused by smoking are a result of secondhand smoke. Given these statistics, it seems crazy that student senate would vote down this proposal, but there is more to this story than meets the eye. The proposal was also looking to cut out e-cigarettes and vapes, which many smokers use as a healthier alternative to smoking. These substitutes are still harmful, but they’re a step in the right direction, and banning them could have negative side effects, too. Right now, smoking is not allowed inside buildings or within 25 feet of their entrances, nor is it allowed at bus stops or around Little Mac Bridge. These restrictions are already pretty limiting, but the proposal looked to cut down on those areas by limiting smokers to their own cars or a designated area near Au Sable Hall. This is an effective way to make our campus smoke-free, but it is also a great way to make the students and faculty who smoke feel like outcasts. For every positive of this proposal there is a negative, just like there is with many of the agendas pushed through government, student or otherwise. For that reason, I commend the student senate for its decision to vote down the smoke-free campus proposal in favor of first doing some campus research, including assembling an outside focus group. Initially, I was sure that many students would like to see a smoke-free campus, but there’s also a good chance that I’m biased in my opinion because I am not a smoker. In the case of this proposal, the student body’s opinion is crucial. While most of us want a healthy campus, I doubt we want to ostracize the students or faculty who do smoke. Tobacco is addictive, and forcing students and faculty to smoke in their cars or in the one designated smoking area that this proposal allows would likely result in them feeling unwelcome. By further restricting their ability to substitute actual cigarettes with vapes/e-cigarettes, we would really be twisting their arm. Smoking might be unhealthy, but as a campus, we need to be understanding and thoughtful with our approach to eliminating it. I fully support the part of the proposal that looks to increase support programs for students who want to quit smoking, but I agree with the student senate’s decision to research further. Ultimately, the senators made the right choice by not rushing the proposal through when there are so many questions still looming.